The photos are pretty phenomenal. These dudes were mer-made to be models. 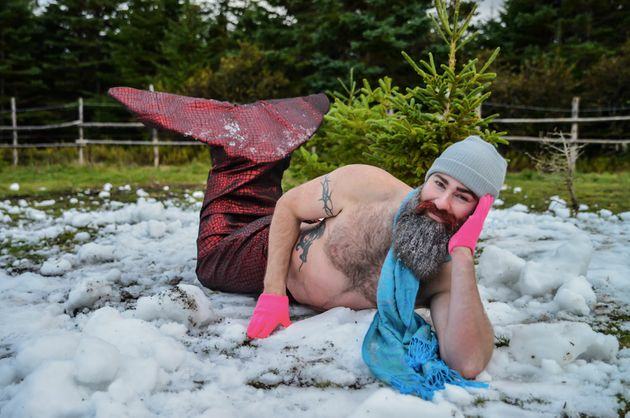 To raise money for a local charity, the Newfoundland and Labrador Beard and Moustache Club just released a dudeoir calendar of some of their sassiest members dressed as mermen. 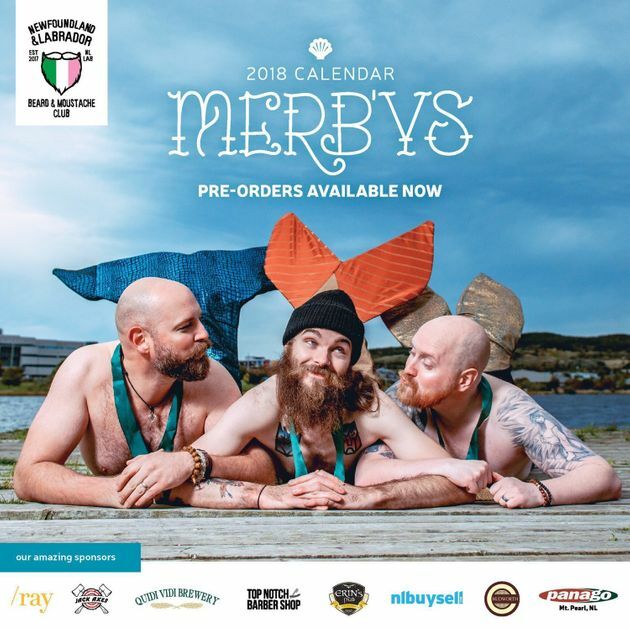 The 2018 calendar is called MerB'ys, a phrase that combines the word merman with the Newfoundland term "b'y" (pronounced "bye"), a gender neutral term similar to the word buddy. This is the first year the club has put out a calendar. The group's founder Hasan Hai told HuffPost that the calendar speaks to some of the core missions of the social club, which is open to anyone who grows or appreciates facial hair and likes to give back to the community. Proceeds from the calendar benefit Spirit Horse Mental Health Program, a local charity that teaches life skills to people through therapeutic interaction with horses. So far, they've sold over 500 calendars via pre-orders. "Something about a bunch of bearded men being comfortable in their own skin ― and being extremely vulnerable in ways that defy traditional standards of masculinity ― seems to have connected with people," Hasan said. He's used to the cold. 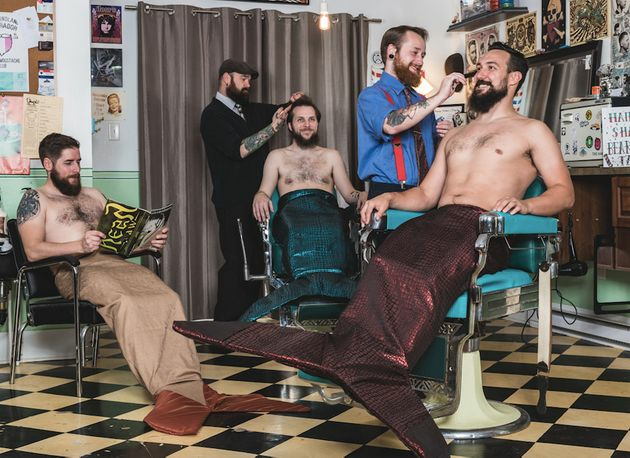 The guys definitely brought their A-game during the photo shoot, though Hasan said it took a while for the group to get acquainted to life in tails. "We were doubling over laughing and trying to wipe the tears from our eyes," he said. "I was the informal artistic director at each shoot so I had the pleasure of telling burly bearded fellows to hold hands, blow one another kisses, or bat their eyes at one another." Below, more photos of the mer'bys in action. Visit their official site or the Facebook page to see more and to pick up a calendar.